The second point to understand is that U.S. persons in Canada need to be careful when investing in non-registered accounts. The U.S. government considers most Canadian-domiciled mutual funds and ETFs to be Passive Foreign Investment Companies, or PFICs, and the income from these investments may be subject to higher taxes. For this reason—as you suggest, O.—it may be better to use U.S.-listed ETFs in your non-registered account. As for investing with a robo-advisor based in the U.S., I doubt whether that is possible. Most U.S. investment dealers will not allow you to open an account if you are not a resident. (The two largest robo-advisors, Betterment and Wealthfront, are explicit about this.) So you will likely need to hold your investment accounts in Canada and do your best within the limits we’ve described above. Let’s consider a couple of ideas that will allow you to build a diversified portfolio while staying in the IRS’s good books. One strategy, as you suggest, is to keep all of your Canadian stocks and bonds inside your RRSP, where you can use mutual funds or ETFs listed on the Toronto Stock Exchange. When your RRSP is maxed and you need to open a non-registered account, you can use it to hold foreign equities with U.S.-listed ETFs. I would suggest keeping this account as simple as possible: consider using an all-in-one solution such as the Vanguard Total World Stock ETF (VT), which holds more than 8,000 stocks in some 40 countries for a ridiculously low fee of 0.10%. If you need to hold some fixed income in your non-registered account to keep the portfolio in balance, you could use GICs or high-interest savings products, neither of which are considered PFICs, so they would not require additional reporting. 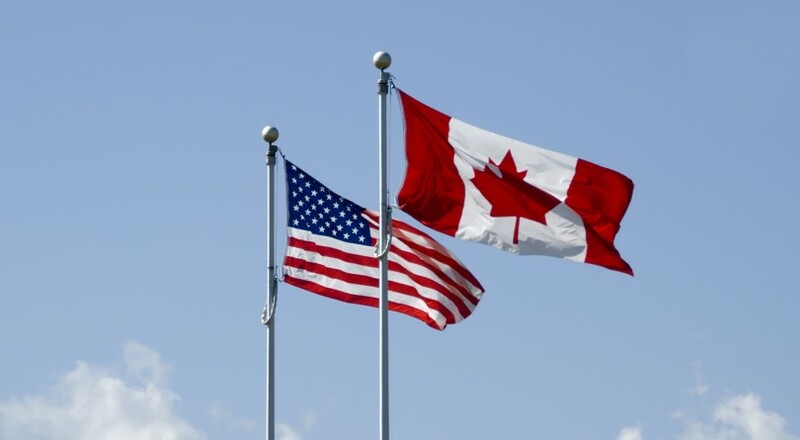 The rules affecting U.S. citizens in Canada are complex, O., and the consequences of non-compliance can be high. So before you build your portfolio, seek professional advice to make sure you don’t attract unwanted attention from the IRS.